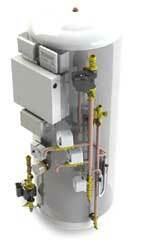 The Ecodan air source heat pump system consists of an external box which is fitted to your outside wall. It harvests renewable, low grade energy from the outdoor air and upgrades this into useful heat to supply a home with hot water and heating. For every 1kW of electricity fed into an Ecodan heat pump unit (i.e.the outdoor part of the Ecodan heating system), you could get at least 3kW of heating energy. The overall system efficiency and energy savings will depend on the comparison with your current heating system, satisfactory system design and installation, and operational settings i.e. how you use the heating system. Ecodan air source heat pumps are ideal for use in a variety of house sizes or styles and its carefully developed control system is designed to work perfectly to provide hot water to either traditional radiators or under floor heating systems. Traditionally heat pumps have been seen as only suitable for under floor heating, however with the advanced control system of Ecodan and its ability to provide optimum variable flow temperature control, radiators can now be easily provided with the hot water they need and prove to be a very efficient option. Capacity control in radiator systems, with a fixed flow temperature is controlled by Thermostatic Radiator Valves (TRV). These operate by turning the radiators on and off to maintain the desired comfort level. For example at 2°C, with 45°C flow temperature, the radiators will be on 50% of the time and off for the other 50% of the time. The Ecodan will vary the flow temperature automatically, based on the ambient temperature to keep the house warm. Operating at these lower flow temperatures can significantly improve overal system efficiency. 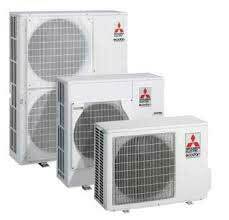 The Mitsubishi Electric Ecodan is designed to meet the demands of today’s domestic hot water and heating requirements. 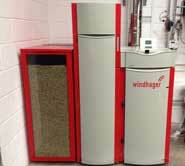 Simple to install, cost effective for the end-user and with outstanding energy efficiency, an Ecodan heating system is ideal for designers, installers and users.